At my core, I’m an industrial kid. Growing up during the ascension of NIN and Ministry, I gobbled up everything I could about the genre once discovering it….everyone from Skinny Puppy, KMFDM, and PIG to the amazing guitar driven Slipdisc forgotten heroes of the late ’90’s (Rorschach Project, 16 Volt, Nihil, The Clay People). That said, I’m still always happy to discover something new, or more appropriately here, something I might have missed. For those of you like me i.e. uninitiated in the glory of Aesthetic Perfection, they are like a slightly less aggressive Combichrist when they’re plugged in driven by the suave vocals of mastermind Daniel Graves who combines Corey Taylor’s croon and Marilyn Manson’s sneer wonderfully at times. I, however, have somehow managed to get into this electronic/industrial outfit when they decide to show their acoustic side. Yeah, you read that right. Recorded in August of 2013 at Complex in Glendale, CA, Imperfect sees Graves unplugging and offering up Aesthetic Perfection in a completely different light. As I was mostly unfamiliar with the AP catalog (I know! I’m sorry! ), I went back and found the counterparts to each song and what Graves has done here is astounding. The arrangements are mostly tailored to a Cabaret/Lounge style and work perfectly for songs like “All Beauty Destroyed” or even “Antibody”. But how does a song like “The Great Depression” work here? Trust me, it does. Thirteen tracks in all and featuring songs from 2008’s A Violent Emotion through to last year’s ‘Til Death, Imperfect is a must-have for Aesthetic Perfection fans and the perfect gateway into their world if unfamiliar. For old school AP fans, hearing tracks like the electronic simplicity of “Devotion” or club banger “Inhuman” turned into stripped down (and fun) alternate versions is an illuminating look into the strong songwriting skill of Graves. For newbies, we can just sit back and enjoy the lush arrangements of songs like “Spit It Out” and “Hit The Streets”. And if the new takes on old classics wasn’t enough enticement then Imperfect also features industrial legend Tim Skold (Marilyn Manson, KMFDM, MDFMK, Skold) on acoustic guitar joining AP drummer Tim Van Horn, Hobo Jazz’s Marquis Howell III, and Lauren Krothe on piano and backing vocals (Both of which especially shine on “Vapor”). 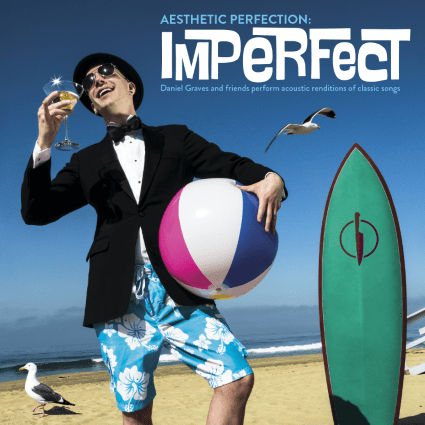 Imperfect will be released on May 12th through Metropolis Records. 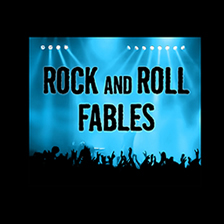 Digital copies are available here but the real fans will want to check out the CD/DVD combo (Available here) which features interviews and live video of “Pale” and “Tomorrow” among others.